In the previous four games, SeaWolves left fielder Tyler Collins had batted 11-for-16 with three home runs and 12 RBIs. He has been red hot throughout the home series against the Richmond Flying Squirrels, but his five RBI weren't enough for the Howlers, who lost by a score of 10-9 on July 24. The Flying Squirrels hit the ground running, scoring five runs in the first inning off of the SeaWolves' right-handed starter Patrick Cooper (2-8, 5.73 ERA). The SeaWolves scored only one run on lefty starter Jack Snodgrass (8-4, 3.45 ERA) in response to the Flying Squirrels. Collins doubled to score center fielder Daniel Fields. Cabrera earned an RBI in the third inning by scoring right fielder Jamie Johnson, and Collins' second double of the day scored shortstop Eugenio Suarez. This brought the deficit to a manageable two runs. After three the score was 5-3. However, the Flying Squirrels got two runs back in the fourth. Krill scored for Richmond off of an error from second baseman Marcus Lemon, and second baseman Joe Panik scored catcher Tyler LaTorre with a single. Wade Gaynor scored for Erie, but after four, the SeaWolves still trailed 7-4. In the bottom fifth, Fields was able to steal third and home in one play off of an error by Flying Squirrels' third baseman Adam Duvall. A solo home run from Collins brought the SeaWolves within one by a score of 7-6. After Cooper was replaced with Victor Larez, Krill scored his third run of the day for Richmond. In the bottom of the sixth, Flying Squirrels reliever Jose Valdez allowed Jamie Johnson to score. In the eighth, after three consecutive walks, the bases were loaded for the red-hot Collins. He scored Suarez and Fields for their second and third runs of the day, respectively. McCann was hit by a pitch, loading the bases again for Wade Gaynor with only one out. Gaynor grounded out into a double play, but the SeaWolves went into the top of the ninth with a 9-8 lead. Two singles, an error, a wild pitch, and a sac fly put the SeaWolves and closer Melvin Mercedes into trouble. Pinch Runner Skyler Stromsmoe and left fielder Javier Herrera scored for Richmond. Lemon, pinch hitter Brandon Douglas, and Johnson all came up empty for the Howlers, leading to the 10-9 final. Melvin Mercedes loses it for the SeaWolves in a blown save attempt, while righty Cody Hall won it for the Flying Squirrels (48-56) and lefty Josh Osich earned the save. The SeaWolves (52-49) couldn't get out the brooms, but they go into a five game series with the Bowie BaySox three games behind them for first in the West. 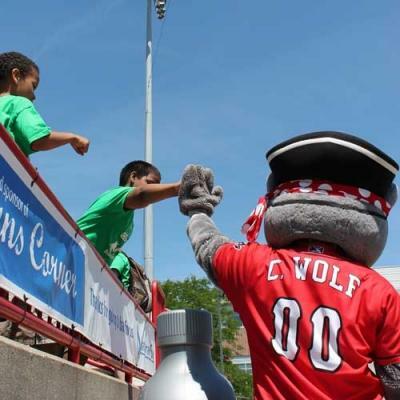 The Howlers are back in action on July 25 at 7:05 p.m. in a series against the Bowie Baysox.